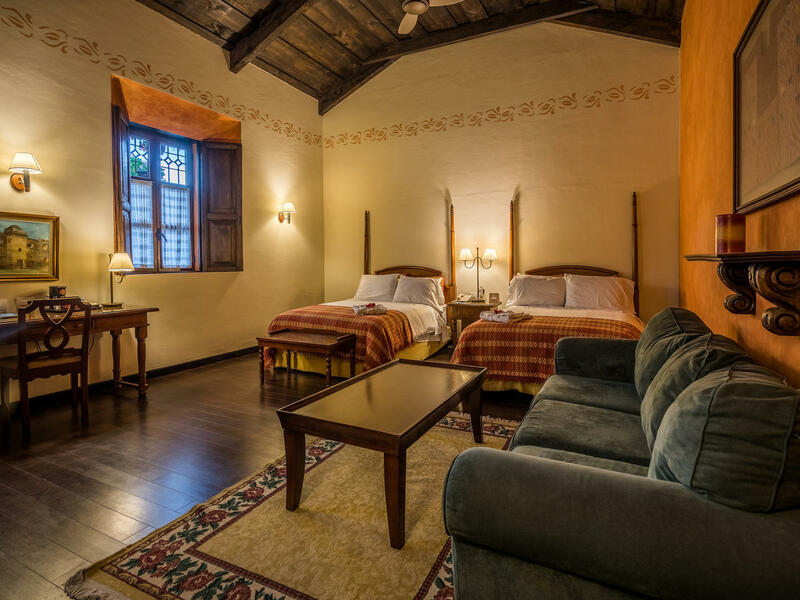 With its lush, beautiful gardens, charming colonial architecture and gracious hospitality, Porta Hotel Antigua is one of the most authentic, unique and unforgettable hotels in Antigua, Guatemala. With a vibrant location just a five-minute walk from the main plaza and a warm, friendly family of staff members – many who have been with us for over three decades – we have been an intrinsic part of Antigua’s culture, heritage and daily life for more than 60 years. Discover a seamless blend of historic 16th century ambience and décor, contemporary service and amenities as well as unmatched personalized attention. 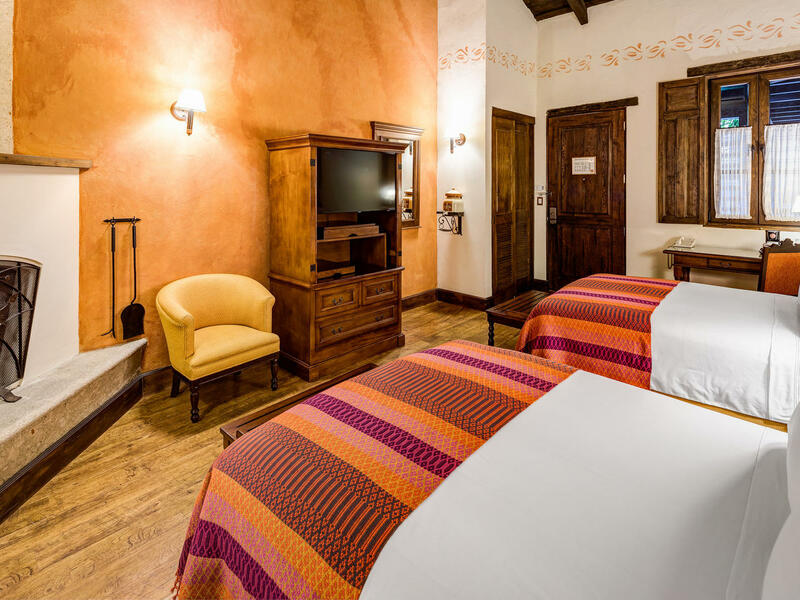 Feel completely at home in warm, luxurious rooms and suites featuring historical touches such as wood floors, antique period furnishings, wood-beamed ceilings, exposed brick and stone walls and bathrooms with beautiful handmade tiles. 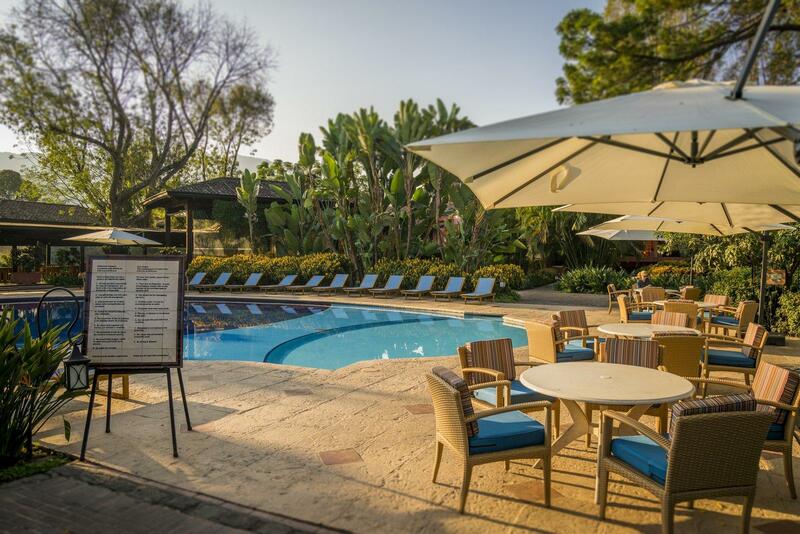 Relax by the swimming pool framed by tranquil gardens and comfortable chaise lounges. Indulge and pamper yourself with a replenishing massage or body treatment or at Ceiba Spa, which includes a relaxation area, dry and wet saunas, four private treatment rooms and an indigenous sauna, where guests may enjoy a unique “temazcal session.” Superb dining choices range from the elegant Los Moros Restaurant to the inviting El Conquistador Bar and a poolside snack bar. For impressive corporate events and unforgettable weddings and parties, Porta Hotel Antigua offers distinctive indoor and outdoor event venues and fully customized catering services to accommodate functions of up to 420 guests. 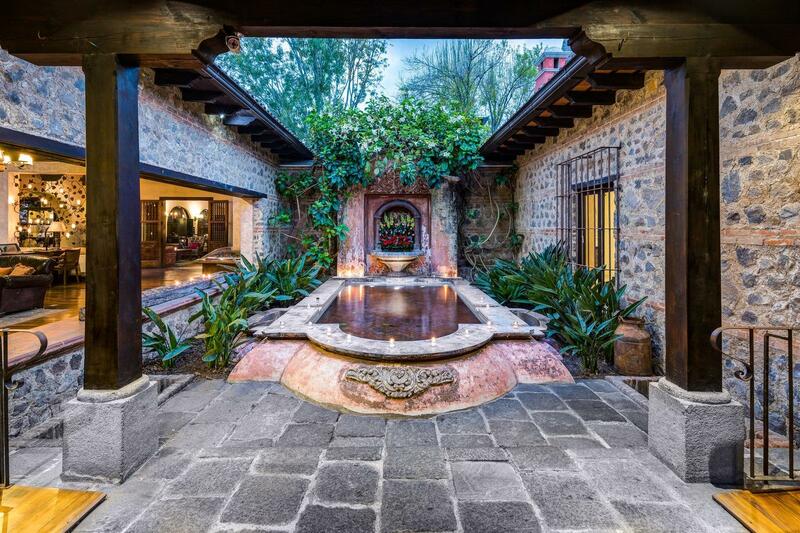 Discover a gateway between Antigua’s rich past and cosmopolitan present at one of the finest hotels in Guatemala. Deluxe Executive rooms are offered at Los Rosales area in front of the main entrance, crossing the street. Deluxe Garden rooms are located in the main building, near the pool and Restaurant. Rooms with one or two beds, are located across street can be reached by private underground tunnel. Arranged around a beautiful lap pool. With its colonial ambiance and décor and warm, friendly hospitality, Porta Hotel Antigua is one of the most coveted destination wedding venues in Antigua. Our experienced staff understand that your wedding is one of the most important days of your life and we’re dedicated to ensuring that it is a time to be cherished forever. 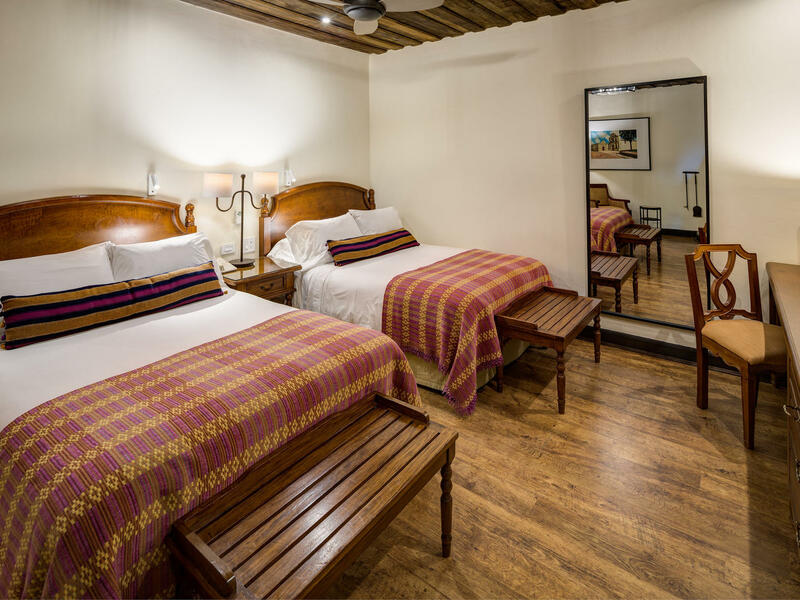 With our valuable hotel deals and seasonal specials, the experience at one of the best boutique hotels in Antigua, Guatemala gets even better. Take advantage of our exclusive offers and discover the magic of Antigua, its vibrant culture, incredible history, baroque architecture, brilliant colors, welcoming people and breathtaking scenery. Throughout Antigua, from its most popular and joyful Parque Central to its many cobblestoned avenues, you will find a Spanish colonial paradise inspired by vivid Mayan culture, the warmth of resplendently clad locals and the youthful, carefree energy of everyone living or visiting here. 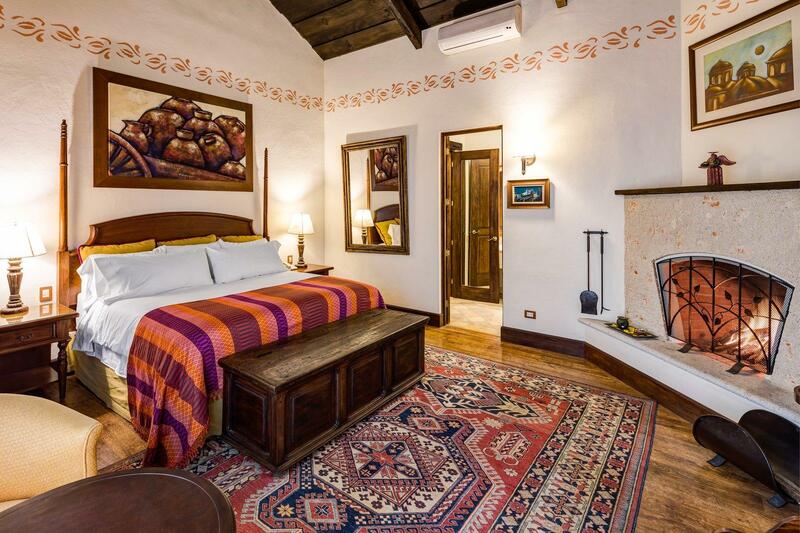 And when you stay at Porta Hotel Antigua, the best things to do in Antigua, Guatemala are only steps away.